This is not a taxi. 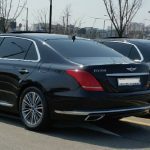 This is TOP and Highest class sedan car for servicing the executive class VIPs. Good for the passengers size from 1 to 2. 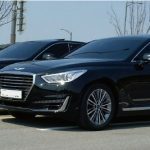 This is the TOP car models in Korea. 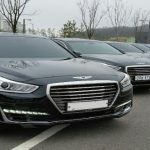 Hyundai Genesis EQ900 model and EQUUS also. Fare – Upfront pricing service only, No metered fare. 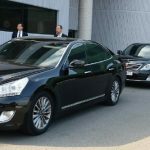 Professionally trained dedicated chauffeur service – English, Japanese, Chinese speaking driver available. 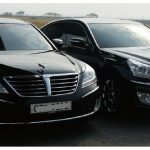 Air port transfer – Door to door airport transportation service. Good for executive C level buiness man or VIP passengers . 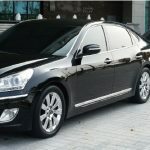 High class private car service with multilingual driver for supporting TOP end quality service. Custom schedules or itinerary have to declare in advance for daily servicing or multiple days. 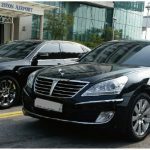 Transportation all cities in Korea from Seoul, Incheon airport. Point-to-poing service ( advance reservation should done ). Good enough for doing a buiness in Seoul or all cities in Korea , 1~ 2 VIP persons without big size bags. 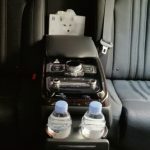 Service is available in Incheon airport, Gimpo airport, Busan ( Gimhae ) airport. 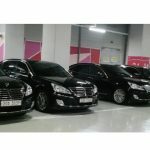 Serve as high end class level of quality transportation service across Incheon, Seoul and Korea.